John Innes No. 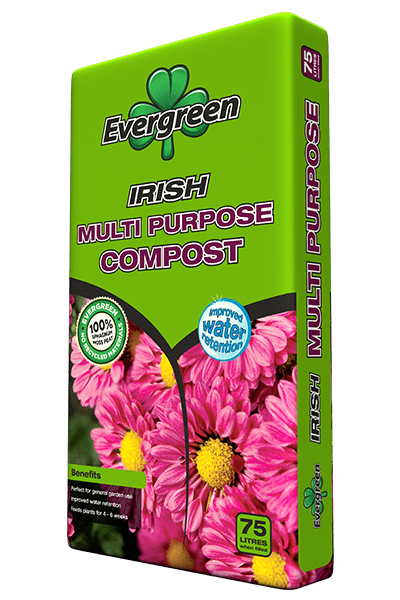 2 - Evergreen Peat | UK's leading manufacturers of horticultural peat and compost products, quality continues to be pinnacle to the Evergreen ethos. 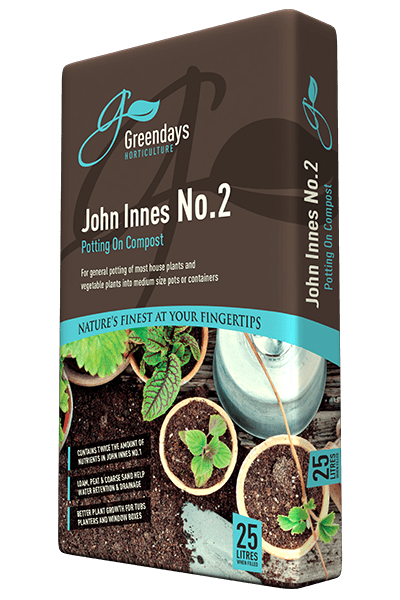 The Evergreen John Innes Compost No. 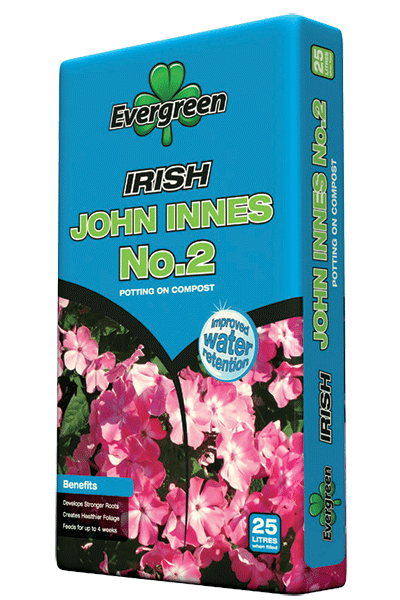 2 is ideal for general potting of most house plants and vegetable plants into medium size pots or boxes. It contains double the amount of nutrients found in John Innes no. 1 to suit established plants. The perfect everyday compost encouraging nourishment and support.